← Where Do I Focus? For our inaugural edition of “A Game Forever Voyaging” I thought I’d cover one of the easiest to use emulators, ScummVM. ScummVM began as an emulator for LucasArts adventure games written in S.C.U.M.M. (Scripting Creation Utility For Maniac Mansion), but has since expanded support for a number of 2D adventure games. ScummVM supports over 100 different adventure games including the Sierra “Quest” Games, the first two installments of Broken Sword, and most of Revolution software’s catalog (some of which is available for free on the site). ScummVM is even used by game distribution companies like GOG.com to support older titles. While not as powerful as utilities like DOSBox (which we’ll cover in another post), ScummVM is easy to use, portable and free. Step One: Create a folder for your game files. 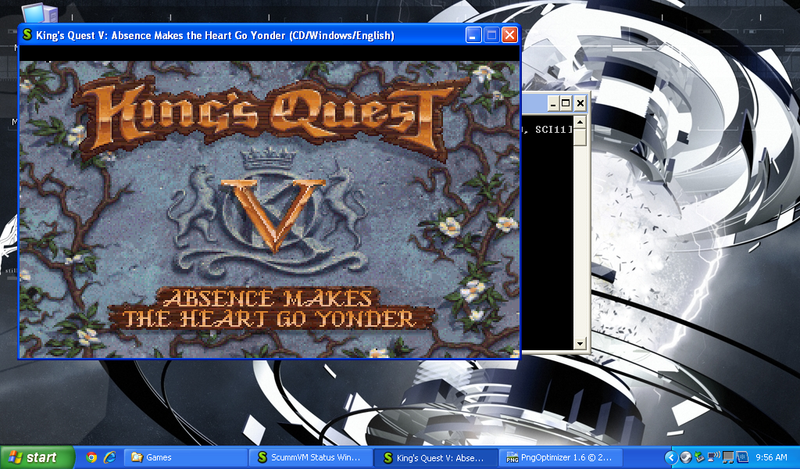 In this case I’m installing the CD version of Sierra’s King’s Quest V. Copy the contents of the entire installation CD to your hard drive (here I’ve created a folder called KQV). 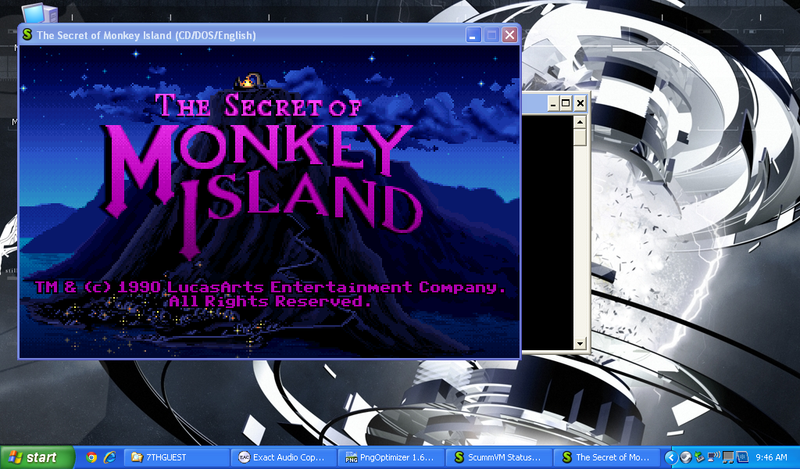 Step Two: Open ScummVM and select “Add a game”. 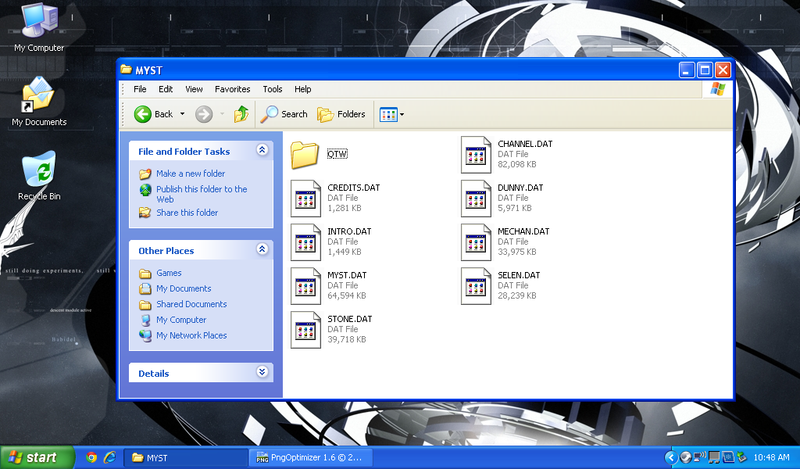 Step Three: Browse to the folder where you copied the game files and press the “Choose” Button. Step Four (Optional): Usually ScummVM will automatically recognize the game and bring you straight to the settings page. Occasionally you’ll have to choose between a couple of different versions (in this case Windows and DOS). Select your game version by clicking on the title and pressing the “Choose” button again. Step Five (optional): ScummVM will then bring up a settings page for the game. You can change these settings at any time, and typically the defaults are fine. Click “OK” to accept current settings. Step Six: That’s it! Select Your game from the list and press the “Start” button to play. The first track is a DATA track, or the program files for the actual game. The tracks below it are the music tracks. In this case I’m using Exact Audio Copy to rip the music. 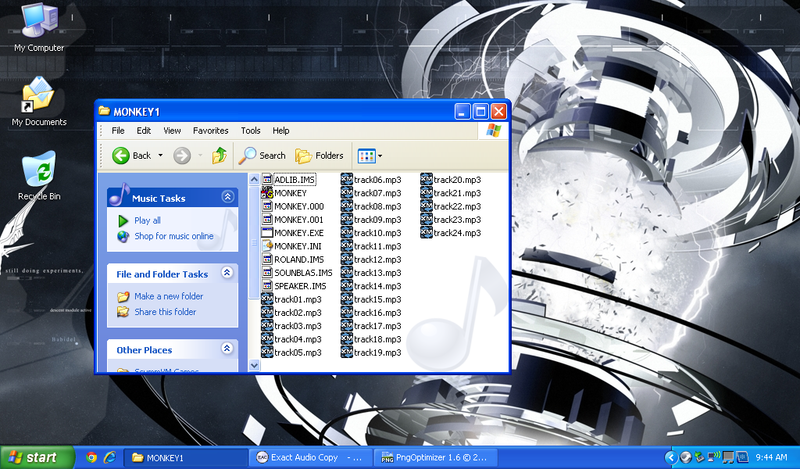 Select Tracks 2 and above and click the MP3 button on the left to encode the files to MP3 music files. ScummVM uses a specific naming convention to determine which files refer to the original tracks on the CD. 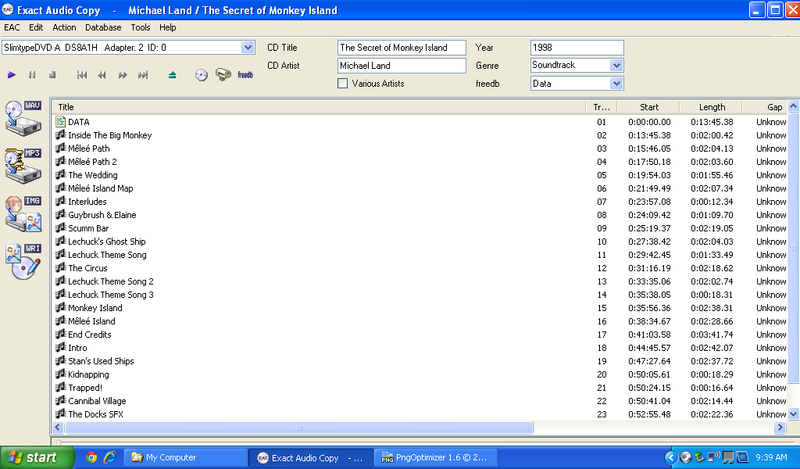 Monkey Island 1 has 24 tracks which we rename track01.mp3, track02.mp3 … track24.mp3. Some games like “The 7th Guest” are contained on multiple CD-ROMs. 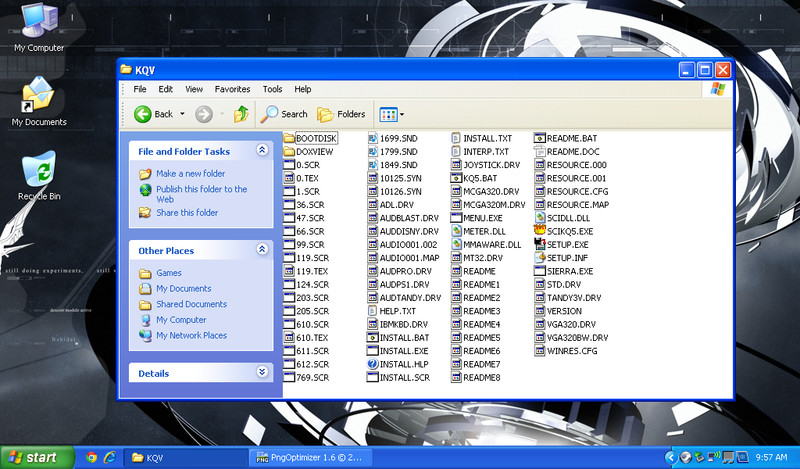 In most cases the files from each disk can be copied to the same directory and installed from there. “The 7th Guest” has two audio tracks, one on the first disk, and another on the second. The track from the first disk is renamed “track01.mp3” and the second “track02.mp3”. This second track contains most of the game’s music and sound. There are other tracks on each CD that are only about 5 seconds long that are not used by ScummVM. New games are being added all the time to ScummVM and can be tested with the latest development build. Typically for a supported game you want to install the latest support version (as of this writing 1.4.1). However, nightly builds are made of the developing code which can be used to run unofficially supported games. I’m using one of the first Windows editions of MYST, exclusively for Win 3.1. A later update provided support for Win95 and above. 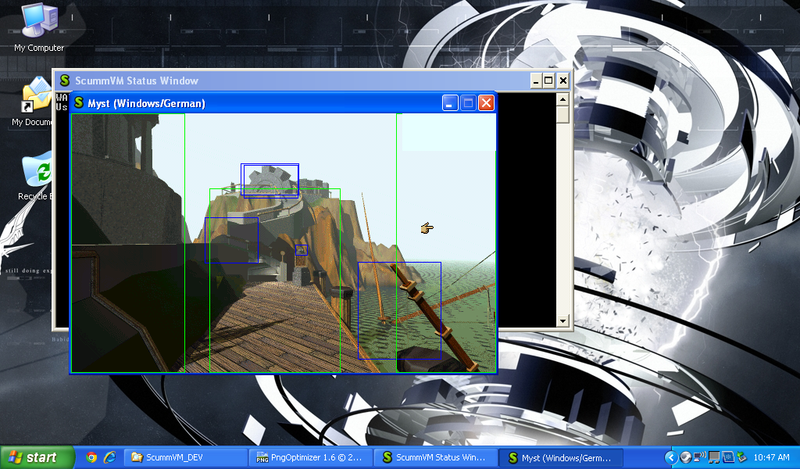 Step Two:Install MYST using normal procedure. For some reason the dev build recognized my copy of MYST as the German version. Hopefully this will be fixed by the final release. Since MYST is not officially supported ScummVM shows this warning. From what I can tell you are unable to save at the moment. I think the green boxes are clickable areas and the blue are animated sections that can change shape. Interesting insight into how the game was made. 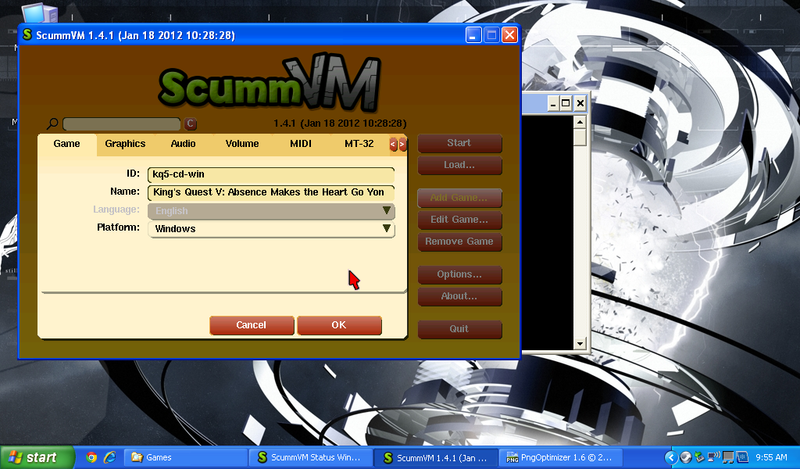 For you technical people out there ScummVM is a scripting interpreter, not a hardware emulator. This means that it can be run on a number of different architectures including many mainstream Linux distros, game consoles, and even the iPad. 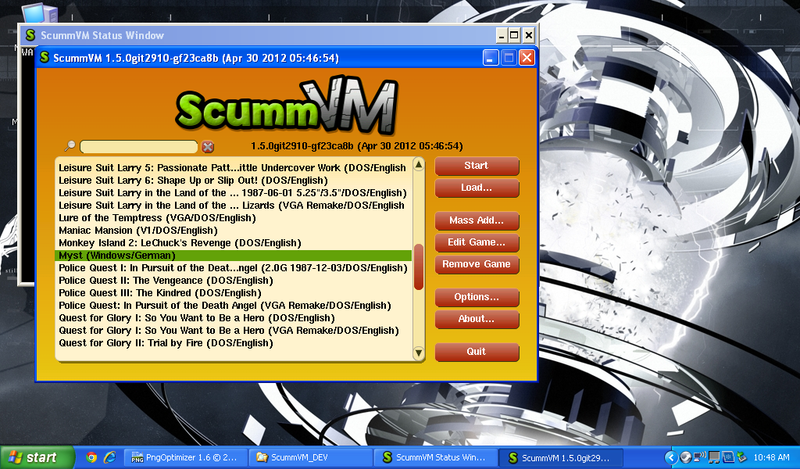 Rather than simulating the original hardware, ScummVM reads and interprets the scripting language in the original game files and renders it, often correct bugs in the original program. That’s it for the first edition of AGFV! Leave any questions, games you’d like to see, or other comments in the comments section! I had not heard of AMFV before. Learn something new every day!